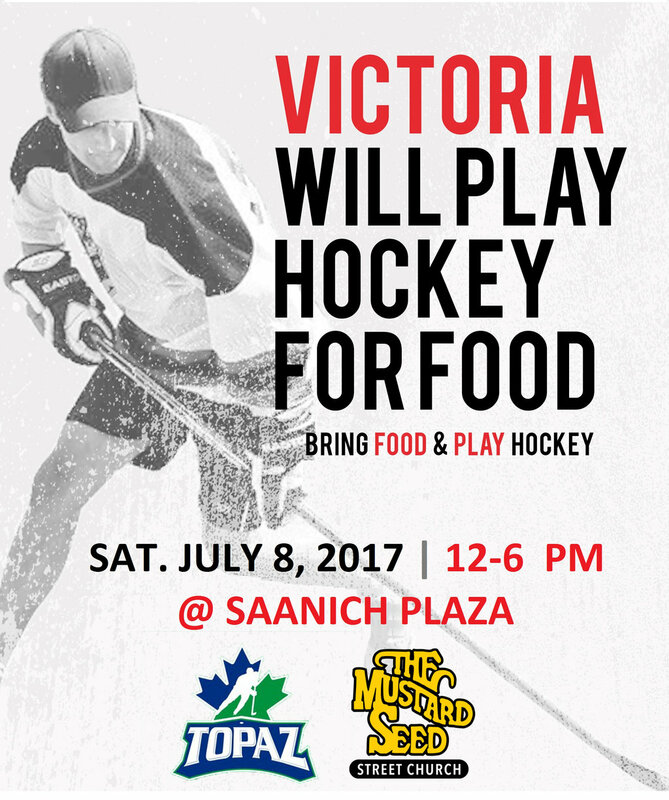 In benefit of The Mustard Seed Street Church, Topaz Hockey is hosting its annual road hockey fest to raise food and funds during a period – summertime – when our food bank shelves tend to run perilously low. Kids are out of school, child care and food budgets are stretched, and families rely on our services more than ever. This fun-filled day brings together our favourite national pastime while doing something great for families in need in our community! 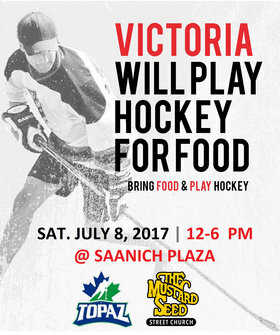 Join us on Saturday, July 8th, 2017 at the Save On Foods Saanich Plaza parking lot, 3544 Blanshard Street, from 12 noon to 6 pm, where we’ll have ball hockey games throughout the day. There will also be a DJ, hot dogs and a skill zone to liven things up! Team format: 3 vs 3 plus goalie (4 players per side total in the rink at a time); 4-10 players per team; each team is guaranteed a minimum of 2 games; all skill levels welcome!